Home » IN VITRO ANTICANCER ACTIVITY AND PHYTOCHEMICAL ANALYSIS OF BACOPA MONNIERI (L.) WETTST. IN VITRO ANTICANCER ACTIVITY AND PHYTOCHEMICAL ANALYSIS OF BACOPA MONNIERI (L.) WETTST. ABSTRACT: Plants have played a significant role in the treatment of cancer and infectious diseases for the last many decades. Natural products have been rediscovered as important tools for drug development despite advances in combinatorial chemistry. Bacopa monnieri (L.) Wettst. (Scrophulariaceae) is a herbaceous plant traditionally used from time immemorial in Ayurvedic and folklore medicines. The various ethnomedicinal uses mentioned are antitumor, against anxiety and depression, epilepsy, against bronchitis and asthma, gastrointestinal disorders, cardiovascular effects, hypothyroidism, anticonvulsant, analgesic, anti-inflammatory, antioxidative activity, antipyretic and antistress. Preliminary phytochemical analysis was carried out using different extracts. Sulforhodamine B (SRB) assay was done for in vitro anticancer activity. The preliminary phytochemical studies of B. monnieri whole plant showed that it possess tannins, alkaloids, steroids, saponins, glycosides, flavonoids, resins, amino acids, carbohydrates, fats and fixed oils, proteins and starch. The in vitro anticancer activity was performed against various Human Cancer Cell Lines namely Cervix (ME180, SiHa), Leukemia (HL60, K562), Ovarian (A2780, Ovkar-3), Breast (MCF-7, MDA-MB-468, MDA-MB-435, MDA-MB-231, ZR-75-1, BT-474), Prostate (PC3, DU145), Colon (HT29, Colo205), Lung (A549), Hepatoma (HEPG2) and Oral (AW13516). Out of the various extracts and cell lines used for studying anticancer activity, the ethanolic extract of Bacopa monnieri (L.) Wettst. was active on Human Breast Cancer Cell Line (MDA–MB-468). The anticancer activity of ethanolic extract of Bacopa monnieri (L.) Wettst. may be related to its saponin and flavonoid contents. INTRODUCTION:Cancer is a general term applied to malignant diseases characterized by rapid and uncontrolled abnormal cell formation which may mass together to form a growth or proliferate throughout the body and it may progress until it causes death 1. It is a second major cause of death after cardiovascular diseases 2. Lung, colon, prostate and breast cancer account for more than half of the cancer deaths 3. Between 2000 and 2020, the total number of cases of cancer is predicted to increase by 73% in the developing world and by 29% in the developed world 4. Although there are many therapeutic strategies, including chemotherapy to treat cancer, high systemic toxicity and drug resistance limit the successful outcomes in most cases. Accordingly, several new strategies are being developed to control and treat cancer 5. Khan et al (2013) reported that the medical use of herbs is deeply rooted in human history and folklore and incorporated into the historical medicine of virtually all human cultures 6. Plants have a long history of use in the treatment of cancer 7. According to Yildiz (2013), plant-derived products are excellent sources for the discovery and development of new cancer chemotherapies 8. A survey lists over 1400 genera of herbs that have a history of use in cancer treatments 9. Drug discovery from the medicinal plants has played an important role in the treatment of cancer and indeed, most new clinical applications of secondary metabolites of plants and their derivatives over the last half-century have been made towards combating cancer 10. Evidently, 69% of anticancer drugs approved between the 1980s and 2002 are either natural products or developed based on knowledge gained from natural products 11. Bacopa monnieri (L.) Wettst. (Family: Scrophulariaceae), also referred to as, Herpestis monnieri, water hyssop, locally known as Brahmi or Jalanimba in India. It is found in wetlands throughout the Indian subcontinent in damp and marshy or sandy areas near streams in tropical regions. It has been used for centuries in the Ayurveda, a holistic system of medicine originating from India. In India, Bacopa monnieri (L) W. is largely treasured as a revitalizing herb used by Ayurvedic medical practitioners for almost 3000 years. The entire plant is used medicinally 12. It is known to have anti-tumour activity 13. Bacopa’s antioxidant properties may offer protection from free radical damage in cardiovascular disease and certain types of cancer 14. The Indian Ayurvedic system treasures a host of medicinal formulations that have been shown to possess cytotoxic and cytostatic effects on tumour cell lines. However, there are few experimental studies, which validate the possible antitumor properties of plants 15. Several medicinal plants have been screened based on the integrative approaches on drug development from Ayurveda 16. Therefore, in response to the quest for search of novel anticancer agents, present research work was designed to investigate anticancer potential of Bacopa monnieri (L.) W. plant. Collection and authentication: Bacopa monnieri (L.) Wettst. plant was collected from Castlerock, Karnataka – Goa, M. S., India. Herbarium of Bacopa monnieri (L.) Wettst. was prepared and authenticated from Blatter Herbarium, St. Xavier’s College, Mumbai, M. S., India. Drying: The plant collected was washed under running tap water and blotted dry. Whole plants of Bacopa monnieri (L.) Wettst.were cut into small pieces and kept for drying in oven at temperature 40 ± 2oC for five days. The dried plant material was ground into powder and stored in air tight container. Preliminary Phytochemical Analysis: Powdered plant was extracted with water, ethanol, methanol and petroleum ether. The extracts were filtered and subjected to preliminary qualitative tests for the identification of various phytochemicals as described by Khandelwal (2012) 17 and Kokate (2013) 18. Preparation of extracts: Extracts were prepared using various solvents as described by Anonymous (2009) 19. Preparation of Aqueous extract: Distilled water was added to the coarse powder in a ratio of 6:1 i.e. 30 ml of Distilled water to 5 grams of powder. It was mixed thoroughly and refluxed for 2 hrs at 80oC.The above step was repeated 3 times.Each time 30 ml of water was added.The extract was filtered and concentrated using Vacuum Rotary Evaporator.Extract prepared was stored in air tight amber colored bottle. Preparation of extracts using different solvents: Different Solvents (Hydroalcoholic extract (50:50), Ethanol, Methanol and Petroleum Ether) were added separately to the 5 gm coarse powder in a ratio of 4:1. The mixture was mixed thoroughly and macerated for 4 hrs. The mixture was refluxed for two hours. The above step was repeated 3 times. Each time 20 ml of the respective solvent was added. The extract was filtered and concentrated using Vacuum Rotary Evaporator. Extracts prepared were stored in air tight amber colored bottles and kept in refrigerator. Human Cancer Cell Lines: Cervix Cancer Cell Lines (ME180, SiHa), Leukemia Cell Lines (HL60, K562), Lung Cancer Cell Line (A549), Breast Cancer Cell Lines (MCF7, MDA-MB-468, MCF-7, MDA-MB-468, MDA-MB-435, MDA-MB-231, ZR-75-1, BT-474), Prostate Cancer Cell Lines (PC3, DU145), Hepatoma Cell Line (HEP G2), Colon Cancer Cell Lines (HT29, Colo205), Ovarian Cancer Cell Lines (A2780, Ovkar-3) and Oral Cancer Cell Line (AW13516) were used for in vitro SRB Assay. Sulforhodamine B (SRB) Assay: In vitro SRB Assay of the prepared extracts was performed on the various Human Cancer Cell Lines at Tata Memorial Centre – Advanced Centre for Treatment, Research and Education in Cancer (ACTREC), Navi Mumbai, India. The antiproliferative SRB assay was performed to assess growth inhibition. This is a colorimetric assay which estimates cell number indirectly by staining total cellular protein with the SRB dye 20. The microtitre plates were taken out after 48 hours incubation of the cells with test materials and gently layered with chilled 50% TCA in all the wells to produce a final concentration of 10%. The tissue culture plates were incubated at 4°C for one hour to fix the cells attached to the bottom of the wells. The supernatant was then discarded. The plates were washed five times with distilled water to remove TCA, growth medium, low molecular weight metabolites, serum proteins etc. Plates were air dried; SRB dye was added to each well of the plates and incubated at room temperature for 30 minutes. The unbound SRB was removed quickly by washing the wells five times with 1 % acetic acid and then air dried. 100μl of Tris buffer (0.01 M, pH 10.4) was added and shaken gently for 5 minutes on a mechanical shaker. Optical density was recorded on ELISA reader at 540 nm. RESULTS: Drug discovery from the medicinal plant has played an important role in the treatment of cancer and indeed, most new clinical applications of secondary metabolites of plants and their derivatives over the last half-century have been made towards combating cancer 10. Hence, the present research work was undertaken to evaluate anticancer potential and to carry out phytochemical analysis of Bacopa monnieri (L.) Wettst. whole plant. The preliminary phytochemical screening of the plant powder was carried out using various solvents viz. petroleum ether, ethanol, methanol and water. These extracts when subjected to various qualitative phytochemical analysis showed the presence of tannins, alkaloids, steroids, saponins, glycosides, flavonoids, resins, amino acids, carbohydrates, fats and fixed oils, protein and starch (Table 1). Key: ME – Methanolic extract, EE – Ethanolic extract, PE – Petroleum ether extract, AE – Aqueous extract. The results showing anti-cancer activity of various extracts of Bacopa monnieri (L.) Wettst. on different Human Cancer Cell Lines are presented in Table 2, 3, 4 and 5. Out of the 5 extracts and 19 cell lines used for studying anticancer activity, the ethanolic extract of Bacopa monnieri (L.) Wettst. was active against Human Breast Cancer Cell Line (MDA–MB-468). DISCUSSION: The chemotherapeutic agents long used in oncologic treatment produce deleterious side effects that augment the mortality and morbidity caused by cancer. Safer treatments are thus desperately needed, some of which can be found in natural compounds such as phytochemicals. Having established chemopreventive activities and preclinical antitumor effects, phytochemicals provide a novel therapeutic approach that merits further exploration 21. Phenols and polyphenols, flavonoids and their derivatives, are ubiquitous in plants and more than 8,000 different compounds are included in this group and many of them are antioxidants. They have been associated with the inhibition of atherosclerosis and cancer 22. Flavonoids have attracted a great deal of attention in relation to their potential beneficial effects on health 23. Flavonoids have been shown to possess antimalignant effects 24. According to Gali et al (2011) the anticancer effects of methanol extract of Argemone mexicana Linn. leaves may be related to their content of Flavonoids 5. According to Pradhan (2014), flavonoids may exert their chemopreventive role in cancer through their effects on signal transduction in cell proliferation and angiogenesis 25. Rohini (2008) reported presence of flavonoids (luteolin) in Bacopa monnieri (L.) Wettst 26. Varshney et al. (2012) also quantified luteolin in leaf collected from Bhayander, Maharashtra (0.1691 ± 0.0024 mg/500g) and stem of Bacopa monnieri (L.) Wettst. collected from Chembur, Mumbai (0.0940 ± 0.0047 mg/500g) 27. In vitro anticancer studies have demonstrated that natural products of flavonoid type like luteolin and quercetin have the power to inhibit the proliferation of cells in human carcinoma of larynx and sarcoma-180 cell lines 22. Lazaro (2009) reported antioxidant and anticancer activities of luteolin 28. Khanna and Kannabiran (2008) reported anticancer activity of many plant-derived saponins, ginsenosides, soyasaponins and saikosaponin-d have already been reported. From their studies concluded that the saponins, gymnemagenol, and dayscyphin C have significant anticancer-cytotoxic activity on HeLa cells under in vitro conditions 29. There are reports available on the anticancer activity of saponins isolated from other plants. It can be put forward that the saponin components of Bacopa monnieri may also modulate immune responses in cancer conditions 26. Plant derived natural products such as flavonoids, terpenoids and steroids etc. have received considerable attention in recent years due to their diverse pharmacological properties including antioxidant and anticancer activity. One of their main properties in this regard is their antioxidant activity, which enables them to attenuate the development of tumour and inflammatory disease 30. Mohan et al., 2011 reported antioxidant activity of Bacopa monnieri (L.) Wettst 14. Antioxidants are a group of substances that are useful for fighting cancer and other processes that potentially lead to diseases such as atherosclerosis, Alzheimer’s, Parkinson’s, diabetes and heart diseases 31. Bacopa monnieri (L.) Wettst. extract or bacosides have shown an antioxidant activity 32. The findings of the study carried out by Volluri et al (2011) suggested that Bacopa monnieri (L.) Wettst. could be a potential source of natural antioxidant 33. Prasad et al. (2012) also reported antioxidant activity of aqueous extract of Bacopa monnieri (L.) Wettst. According to them, antioxidant properties of Bacopa monnieri (L.) Wettst. may offer protection from free radical damage in cardio vascular disease and certain types of cancer 34. Rohini (2008) concluded from the studies carried out that the ethanolic extract of Bacopa monnieri (L.) Wettst. inhibits tumor progression in fibrosarcoma bearing rats 26. Anticancer activity of Bacopa monnieri (L.) Wettst. extract has been evidenced in Walker carcinoma in vivo and S – 180 cells in vitro 35. Mohan et al. (2011) reported that ethanolic extract of Bacopa monnieri (L.) Wettst. exhibits antioxidant activity 14. In vitro anticancer studies has suggested that an anticancer effect of Bacopa monnieri (L.) Wettst. extracts is possibly due to inhibition of DNA replication in cancer cell lines 12. Prasad et al (2008) also reported anticancer property of Bacopa monnieri (L.) Wettst 35. Sapindus trifoliatus Linn. has been reported for its high content of saponins 36. Pradhan et al. (2010) reported antiproliferative effect of Sapindus trifoliatus Linn. on MDA-MB435 breast cancer cells via G2/M cell cycle arrest, thus it should interact with tubulin to the same extent as the plant-derived chemotherapeutic agents. They have also reported Sapindus trifoliatus Linn. ethanolic fraction could inhibit the proliferation of human breast cancer cell lines 37. Peng et al. (2010) reported that dammarane triterpene saponins i.e bacopaside E and bacopaside VII isolated from n – BuOH fraction of Bacopa monnieri (L.) Wettst. had potential antitumor effect 38. It has been suggested by many researchers that the anticarcinogenic action of the saponin components of Bacopa monnieri (L.) Wettst. and the cumulative activation of phytosterols, flavonoids and saponins may attribute to the decreased activity of tumor marker enzymes thereby leading to a reduction in tumor weight, increased mean survival time and body weight 26. In the present study, the anticancer activity of ethanolic extract of Bacopa monnieri (L.) Wettst. whole plant on Human Breast Cancer Cell Line MDA-MB-468 may be related to its saponin and flavonoid content. CONCLUSION: From the present study, it was concluded that the ethanolic extract of Bacopa monnieri (L.) Wettst. whole plant was active against Human Breast Cancer Cell Line (MDA-MB-468) which may be due to synergistic effect of the secondary metabolites present in the extract. Studies on other Human Breast Cancer cell lines are under progress in our laboratory. Further studies are required to assess the molecular mechanism of anticancer activity of the Bacopa monnieri (L.) Wettst. ACKNOWLEDGEMENT: The authors are thankful to NMPB, Dept. of AYUSH, Ministry of Health and Family Welfare, Government of India, New Delhi for providing research grant. Aboul-Enein AM, El-Ela FA, Shalaby EA and El-Shemy HA. Traditional medicinal plants research in Egypt: Studies of antioxidant and anticancer activities. Journal of Medicinal Plants Research 2012; 6(5): 689-703. Shalini G, Remya RS, Gayathri G, Vishalakshi V and Phaneendra M. Organ specific cancers – recent advances in diagnosis and treatment. Cancer Sci therapy 2011; S17. Jain S, Gill, V, Vasudeva N and Singla N. Ayurvedic medicines in treatment of cancer. Journal of Chinese Integrative Medicine 2009; 7(11): 1096-1099. Francesco S, Rosanna A, Gian FG and Alessandro C. Importance of diet on disease prevention. International Journal of Medicine and Medical Sciences 2013; 5(2): 55-59. Gali K, Ramakrishnan G, Kothai R and Jaykar B. In-vitro Anti-Cancer activity of Methanolic extract of leaves of Argemone mexicana Linn. 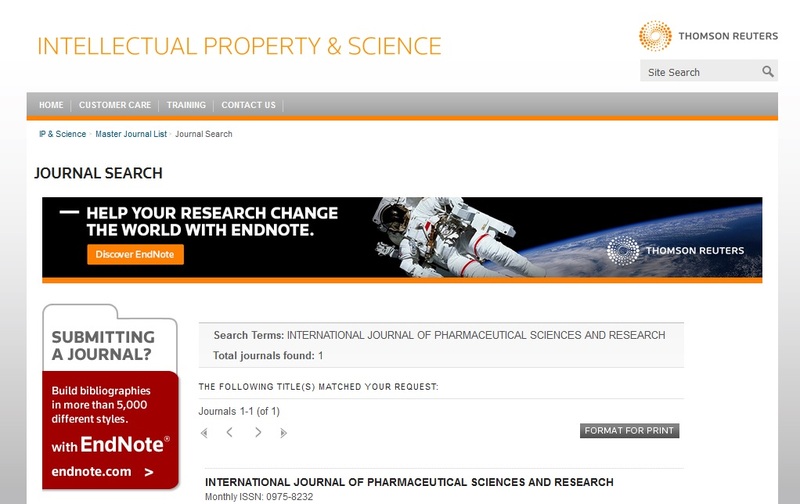 International Journal of PharmTech research 2011, 3 (3): 1329-1333. Muhammad IK, Mushtaq A, Rahmat AK, Amin U, Syed R and Bakhtar U. Phytotoxic, antioxidant and antifungal activity of crude methanolic extract of Equisetum debile. International Journal of Biosciences 2013; 3(8): 130-135. Rajandeep K, Kapoor K and Kaur H. Plants as a source of anticancer agents. J. Nat. Prod. Plant Resour. 2011; 1 (1): 119-124. Mustafa Y, Hakan B, Onur T, Ege RK, Oktay A and Hakan A. Cyclamen Exerts Cytotoxicity in Solid Tumor Cell Lines: a Step toward New Anticancer Agents? Asian Pac J Cancer Prev 2014; 14 (10): 5911-5913. Anajwala CC, Patel R M and Jariwala JK. In vitro cytotoxicity study of Agave americana, Strychnos nuxvomica and Areca catechu extracts using MCF-7 cell line. J Adv pharm Technol Res 2010;1(2): 245-252. Mazumder K, Tanaka K and Fukase K. Cytotoxic Activity of Ursolic Acid Derivatives Obtained by Isolation and Oxidative Derivatization. Molecules 2013; 18: 8929-8944. Gohil KJ and Patel JA. A review on Bacopa monnieri: Current research and future prospects. International Journal of Green Pharmacy 2010; 1-9. Kumar S, Singh BB, Kaur B, Singh K and Nandan D. Herbal Plants as Potential Anticancer Agents: A Review. Research Journal of Pharmaceutical, Biological and Chemical Sciences 2013; 4(3): 233 -251. Mohan N, Jassal PS, Kumar V, Singh RP. Comparative In vitro and In vivo study of antioxidants and phytochemical content in Bacopa monnieri. Recent Research in Science and Technology 2011, 3(9): 78-83. Ramaswami K, Rao CV, Pushpangandan P, Trivedi SP and Trivedi GD. Exploring the Protective Effects of Abrus precatorius in HepG2 and N-Nitrosodiethylamine-Induced Hepatocellular Carcinoma in Swiss Albino Rats. Iranian journal of Pharmaceutical Sciences 2010; 6(2): 99-114. Patel HV, Patel JD and Patel B. Comparative efficacy of phytochemical analysis and antioxidant activity of methanolic extract of Calotropis gigantea and Calotropis procera. International Journal of Biological & Pharmaceutical Research 2014; 5(2): 107-113. Khandelwal KR. Practical Pharmacognosy, 22nd ed., Nirali Prakashan, 2012. Kokate CK, Purohit AP and Gokhale SB. Pharmacognosy, 48th ed. Nirali Prakashan; 2013. Anonymous. Report on Screening of single herbal drug extracts for potential anticancer activity. Published by Central council for research in Ayurveda and Siddha, Department of AYUSH, Ministry of Health and Family Welfare, Govt. Of India, 2009. Torricelli P, Antonelli F, Ferorelli P, De Martino A, Shevchenko A and Beninati S. Antiproliferative activity of a dietary supplement on estrogen receptor positive and negative human breast adenocarcinoma cell lines. Cancer Research Journal 2014; 2(2): 29-32. Sun M, Estrov Z, Ji Y, Coombes KR, Harris DH and Kurzrock R. Curcumin (diferuloylmethane) alters the expression profiles of microRNAs in human pancreatic cancer cells. Mol Cancer Ther 2008; 7(3): 464-473. Rao GV, Kumar S, Islam M and Mansour SE. Folk medicines for anticancer therapy-a current status. Cancer Therapy 2008; 6: 913-922. Subhadradevi V, Asokkumar K, Umamaheswari M, Sivashanmugam AT, Ushanandhini JR and Jagannath P. Antimicrobial Activity of Leaves and Flowers of Cassia auriculata Linn. Bangladesh J. Sci. Ind. Res. 2011; 46(4): 513-518. Kumar AS, Javvadi RK, Kumar VK, Reddy ME, Reddy VY, Harshavardhan G and Akbar MD. Effect of methanolic extract of Adenanthera pavonina Linn on Dalton's ascitic lymphoma. Indian Journal of Research in Pharmacy and Biotechnology 2014; 1(1): 138-141. Pradhan D. Pharmacological effect of some fractions obtained from Sapindus trifoliatus acting as an antioxidant and against mammary cell proliferation. African journal of pharmacy and pharmacology 2014; 8(17): 455-463. Rohini G. Bacopa monniera extract inhibits tumor promotion in fibrosarcoma bearing rats. Journal of Natural Remedies 2008; 8(1), 101-108. Varshney A, Shailajan S and Chandra N. Estimation of Flavonoid-luteolin in different plant parts of Bacopa monnieri (L.) Wettst. by using HPTLC method. Analytical chemistry – An Indian Journal 2012; 11(1): 35-39. Lazaro LM. A review on dietary Flavonoids Kaempferol. Mini-reviews in Medicinal chemistry 2009, 9: 31-59. Khanna VG and Kannabiran K. Anticancer-cytotoxic activity of saponins isolated from the leaves of Gymnema sylvestre and Eclipta prostrate on HeLa cells. International Journal of Green Pharmacy 2008; 227-229. Anbu J, Ravichandiran V, Sumithra M, Chowdary BS, Kumar SKSL VVSN, Kannadhasan R and Kumar RS. Anticancer activity of petroleum ether extracts of Abrus precatorius on Ehrlich Ascites Carcinoma in mice. International Journal of Pharma and Bio Sciences 2011; 2 (3): 24 – 31. Kapoor KR, Srivastava SS and Kakkar P. Bacopa monnieri modulates antioxidant responses in brain and kidney of diabetic rats. Environ Toxicol Pharmacol 2009; 27(1): 62-69. Volluri SS, Bammidi SR, Chippada SC and Vangalapati M. In vitro antioxidant activity and estimation of total phenolic content in methanolic extract of Bacopa monniera. Rasayan J. Chem. 2011; 4(2): 381-386. Prasad MS, Manoranjan S, Venkateshwarlu G, Madhu, CAS and Patro DK. Estimation of total phenolic content and in vitro antioxidant activity of Bacopa monnieri. International Journal of Phytotherapy Research 2012, 2(2): 21 – 25. Prasad R, Bagade US, Pushpangandan P and A Varma. Bacopa monniera L.: Pharmacological aspects and case study involving Piriformospora indica. International journal of integrative biology 2008; 3(2): 100-110. Rao GHJ and Lakshmi P. Sapindus trifoliatus: A review. International Journal of Pharmacy and Technology 2012; 4(3): 2201-2214. Pradhan D, Joshi V and Tripathy G. Anticancer effect of Sapindus trifoliatus on Human Breast Cancer Cell Lines. International Journal of Pharma and Bio Sciences 2012; 1(1): 1-8. Peng L, Zhou Y, Kong DY and Zhang WD. Antitumor activities of dammarane triterpene saponins from Bacopa monniera. Phytotherapy Research 2010; 24(6): 864-868. 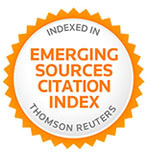 All © 2014 are reserved by International Journal of Pharmaceutical Sciences and Research. This Journal licensed under a Creative Commons Attribution-NonCommercial-ShareAlike 3.0 Unported License.